Before coming to Rocky Mountain College, Professor Rosen was the Senior Lecturer in Sacred Traditions & the Arts at King’s College London. While at King’s, he helped found the first B.A. degree in Liberal Arts in England, and co-founded the Centre for Art and the Sacred at King’s. 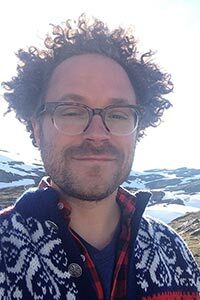 Dr. Rosen taught previously at Yale, Oxford, and Columbia Universities, and served as a Visiting Professor at University College Utrecht during sabbatical. He received his Ph.D. from the University of Cambridge, and was a visiting scholar at the University of California Berkeley. 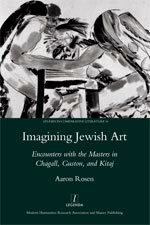 Dr. Rosen is the author of Imagining Jewish Art (2009) and Art and Religion in the 21st Century (2015), which was named one of the best books of 2015 by The Times. 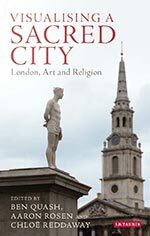 He is the editor of Religion and Art in the Heart of Modern Manhattan (2015) and co-editor of Visualising a Sacred City: London, Art and Religion (2016). He is currently working on his next monograph, entitled The Hospitality of Images: Modern Art and Interfaith Dialogue. 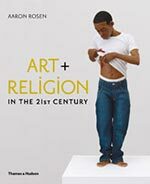 With Dr. Chloe Reddaway, he is co-editor of the new Brepols book series Arts and the Sacred: Theological Engagement with the Visual Arts. Dr. Rosen makes it a priority to reach audiences outside academia, and he has contributed to newspapers and magazines, including The Observer, The Los Angeles Times, Apollo, and Times Higher Education, and provided commentary for the BBC. In addition to writing for adults, Dr. Rosen also enjoys teaching younger audiences, and he recently wrote two children’s books: Journey through Art: A Global Adventure (2017) and Where’s Your Creativity? (2017), co-authored with the dancer Riley Watts. Dr. Rosen has lectured in universities, museums, and religious institutions across the US, UK, and the Netherlands, as well as in Germany, Denmark, Norway, Poland, Russia, and Australia. He enjoys working with artists, and has curated several exhibitions, including the Your Jewish Museumseries at the Jewish Museum in London, and Stations of the Cross in venues across London including the National Gallery and St Paul’s Cathedral. 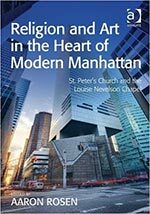 At Rocky Mountain College, Dr. Rosen teaches a wide range of classes in religious studies, often bringing in material from contemporary culture. He is Jewish, and his wife, Dr. Carolyn Rosen, is training to be an Episcopal priest, so he has a special interest in thinking about and practicing inter-faith dialogue, both in the college and beyond. Outside the classroom, he enjoys playing squash and tennis, practicing pottery, and walking his giant Newfoundland, Ramsey. He and Carolyn are delighted to live in Big Sky Country after many years looking at a very tiny sky in England.